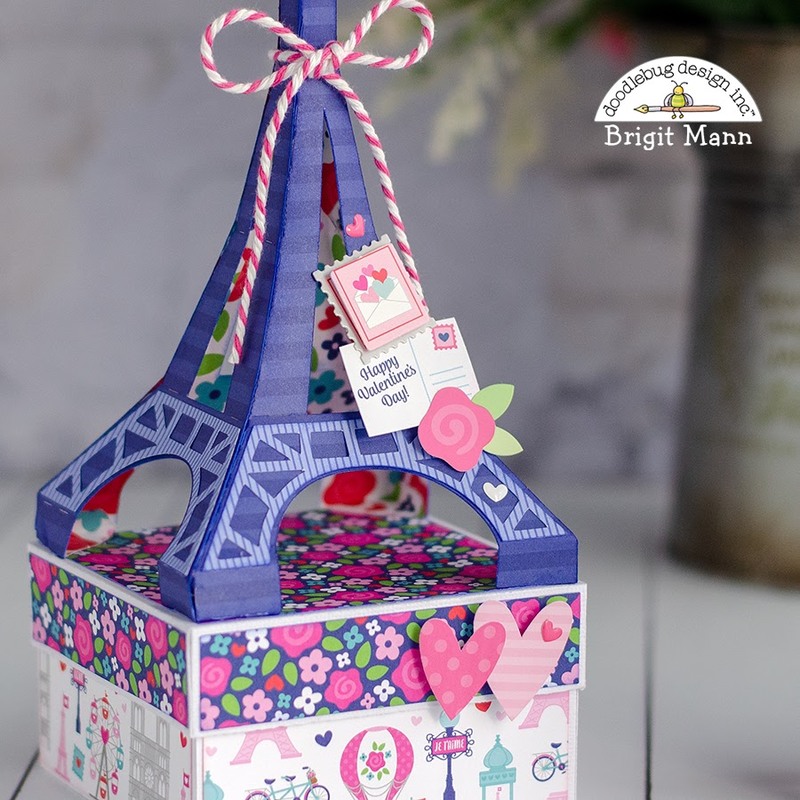 Doodlebug's French Kiss is such a fun-loving collection, I love the Paris theme with all the adorable characters and Valentine embellishments though it can be used for so many other occasions. Today I'm sharing a gift set, I love the pop of navy in this collection it's the perfect color for my Eiffel tower. The box with Eiffel tower is an svg file that was cut out on my cutting machine, I decorated it simply with a couple of stickers and some chunky twine. I used more cutting files along with French Kiss stickers and an Eiffel tower doodle-pop to create this greeting card scene. 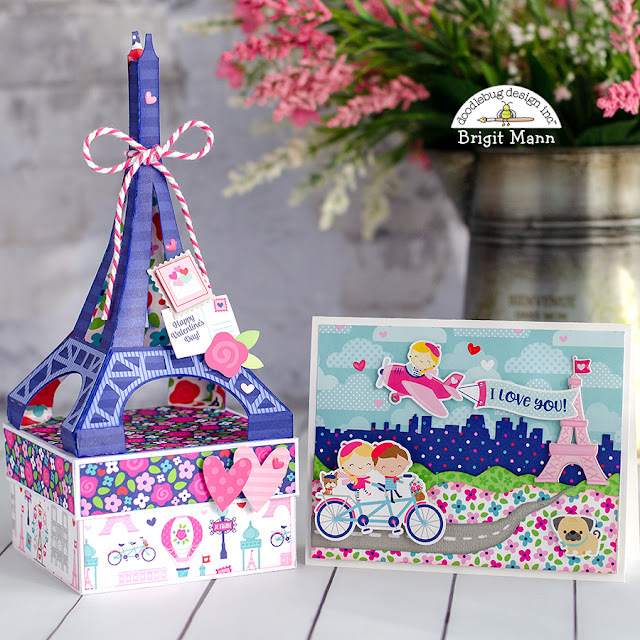 Here's a closer look at the Eiffel tower box with some stickers, stamp doodle-pop and a couple of those adorable baby heart sprinkles, love them!